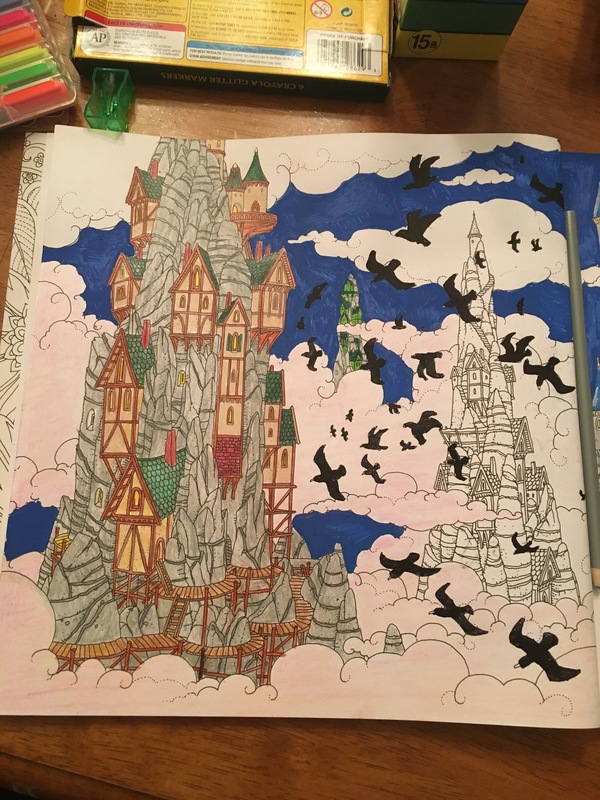 I’ve mentioned my love of coloring before on the blog. Once writing became a job for me, I needed a hobby to provide an additional creative outlet. Coloring fit the bill. It’s the closest I’ve ever come to a true meditative state. 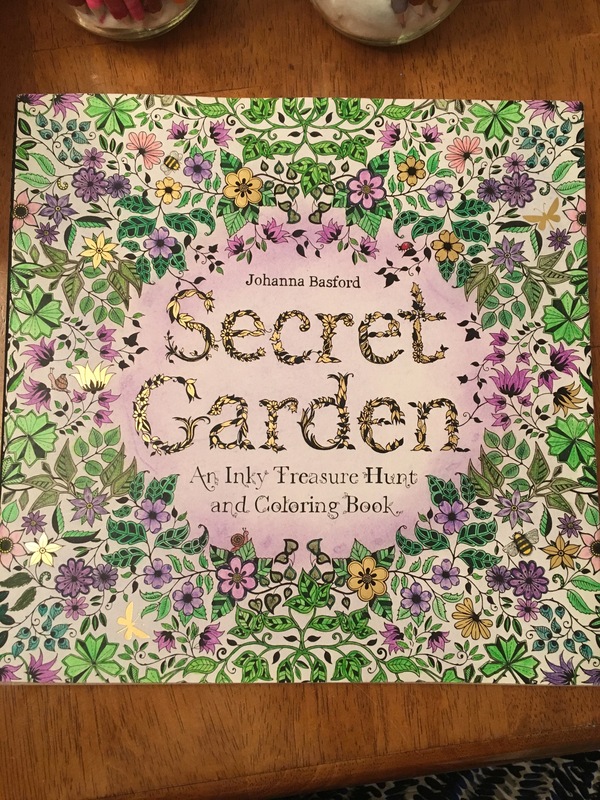 My favorite coloring books are the ones by Johanna Basford such as Secret Garden and Enchanted Forest. 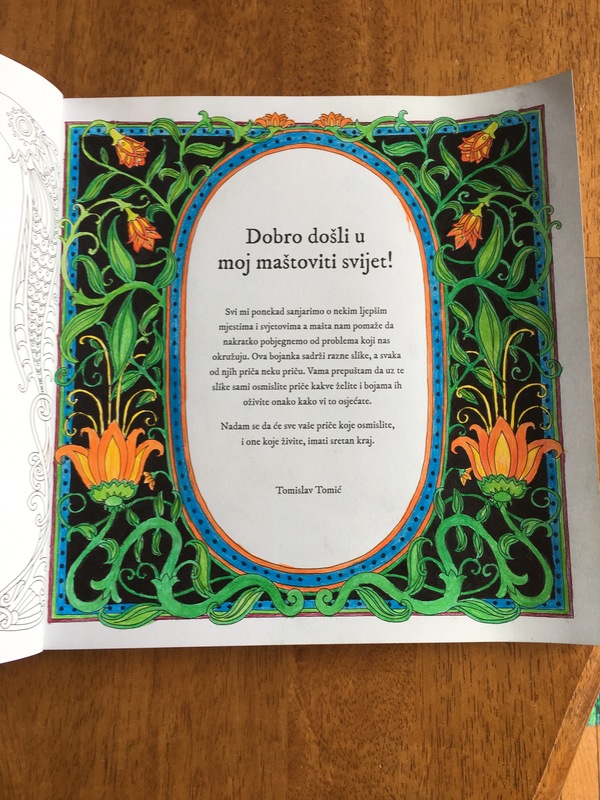 Recently, my dear friend Hannah surprised me with a Croatian coloring book as a no-special-occasion treat. 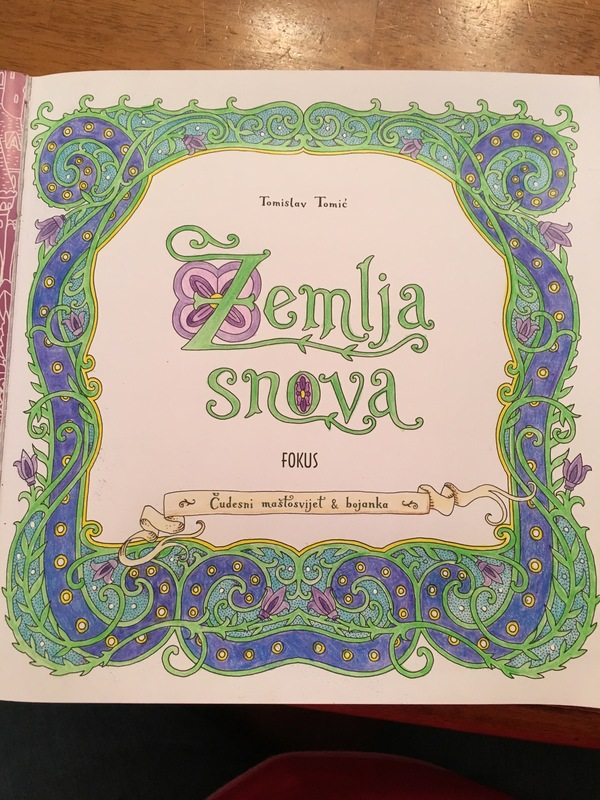 Zmelja Snova is incredibly intricate and detailed far surpassing even the most difficult Johanna Basford book, Lost Ocean. 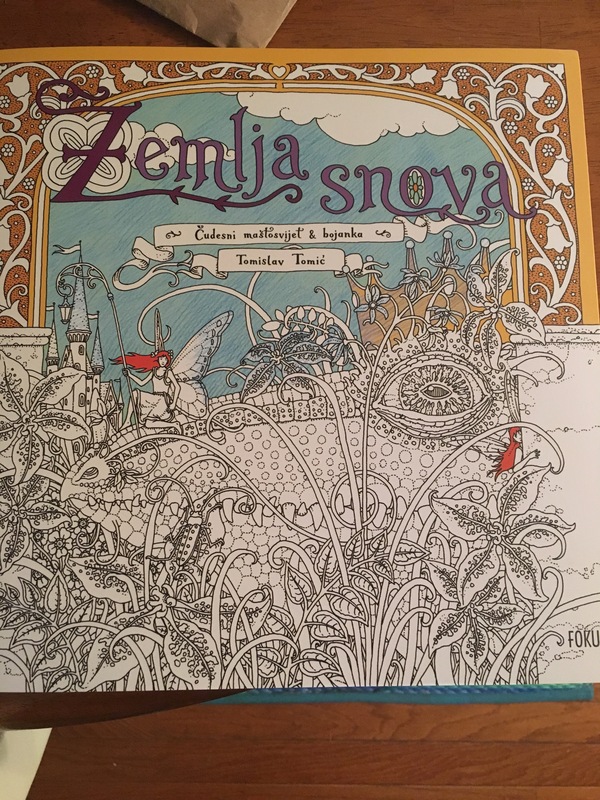 Zmelja Snova literally means “land of dreams” and each sketch possesses a fairytale quality, full of amazing detail. 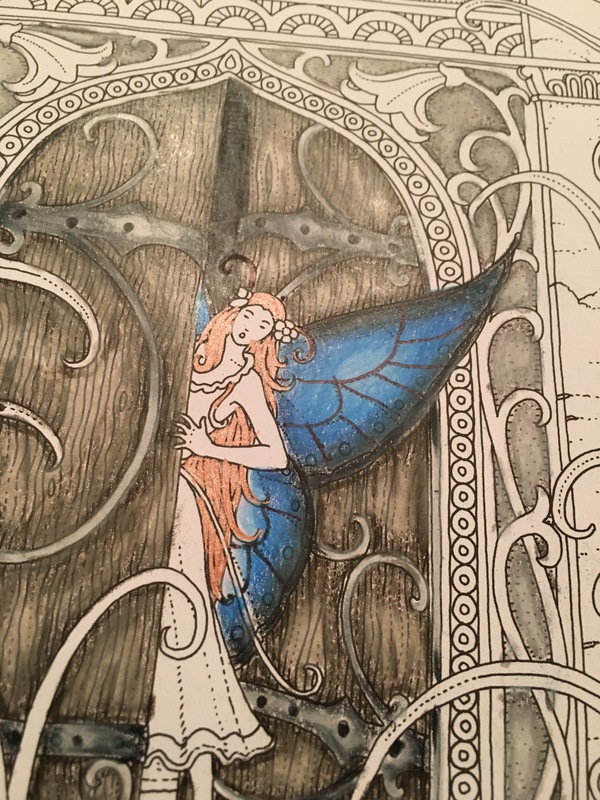 Pictures include dragons, fairies, castles, and more. 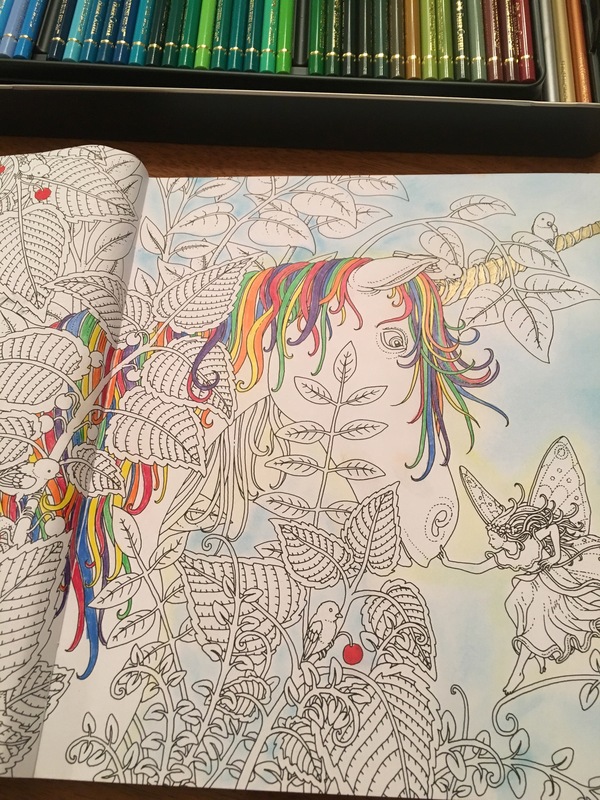 The designs can easily take more than a week to color. 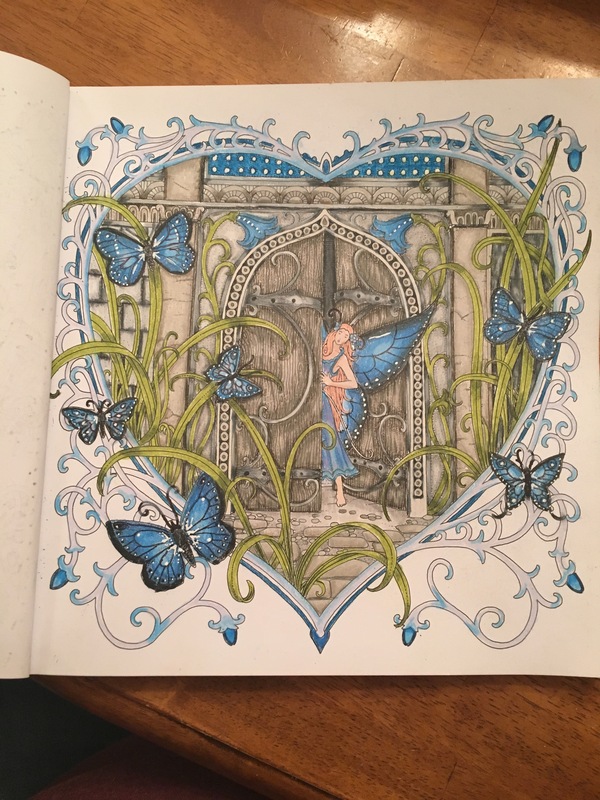 In the month since I received the book, I have been having a great time coloring in these intricate designs. The book is only available via bookstores in Croatia and is extremely expensive to ship to the United States. Facebook groups have banded together to place large orders to save on shipping. I ordered two books and they turned out to be about $26 each. So there substantially more expensive but still worth it. 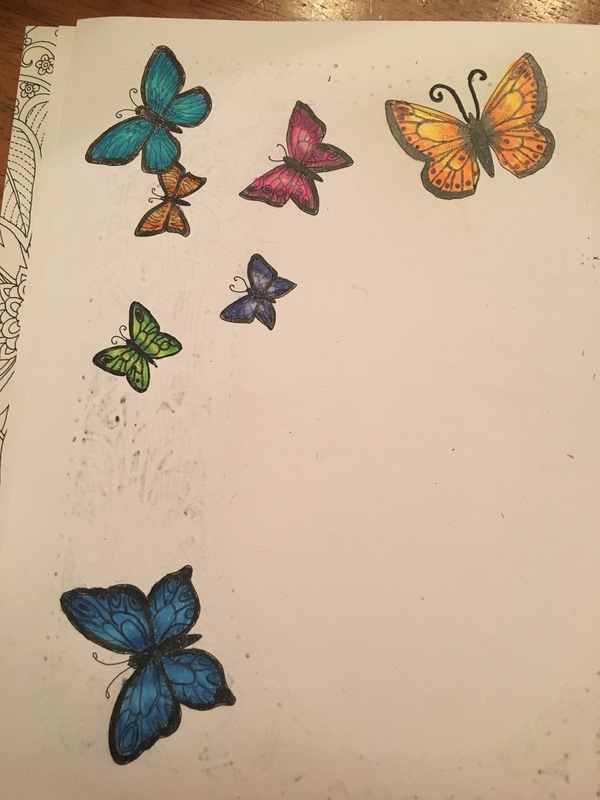 The paper is very thick and can take markers and paint pens though I do find that sharpies bleed through. It’s a lot of fun coloring this one! I highly recommend it.